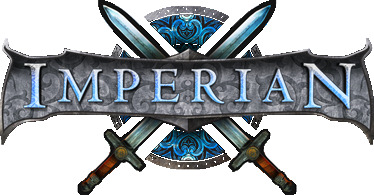 We've had a large number of people request that we keep subscriptions, artifacts carts, and credit purchases open on Imperian after we start doing automatic credit generation on the 15th. So the question is, does it matter if we keep them on? I'm semi leaning toward the idea that leaving purchases on would be fine. We would probably not continue to do some of the special items, like giftbags. Leaving purchases open would keep a small amount of cash coming into the game which may allow better services and it lets people who want to "catch up" fast to do so. That said, most people should be able to get a viable combat character fairly quickly with regular play. Getting a second profession will take much longer, but the lessons and credits earned from levelling and achievements should get that first profession and basic artifacts relatively easily. Since I'm one of the ones who suggested keeping Elite open at least, I think that would be nice. Perhaps since you're not worried about the revenue of the game all that much now, you could even increase the payout slightly. 150 baseline to 200 cap for example. 3 tokens instead of 2. Etc. Promo items I really think have no business being made for RL cash though, as you said. That'd be passing into the territory that made a number of people hate playing in the first place, so leaving that as an available option wouldn't be very... Good, I would imagine. I don't see how it'll be a negative. The planned in-game credit generation seems good enough that buying in won't be a big requirement. Plus, having Imperian have as little financial drain as possible can only be good. Speaking of non-gamebreaking things, could doubloons be made transferrable? With artifacts more easily obtainable via in-game means, there seems little point to restricting the temporary method. Speaking as someone who doesn't really use doubloons for much, I'd love to be able to have newbies borrow artifacts to make it easier for them to start out (plus they can test drive arties before buying them outright). Given we can make 7,300 credits plus some tokens a year now (not sure how you plan to handle promo item generation yet), credit sales would be closer to an actual 'pay to avoid the time sink' system than it was before, so I don't really mind. I'll lose my bacon if I see new promo items for sale, though. Rerunning old ones could maybe be okay (eg an assembly sale for all the shiny cosmetics people want to complete), but no new promos plxkthx. Or make it so doubloons can be converted to credits at like a 5:1 ratio, I dunno. Considering you can only get 10? per day, I think... An extra 2 credits per day if you want to sink time into getting permanent artifacts instead, wouldn't be awful. Keep them on. Can only help IRE and can't hurt Imperian. I would love to see credits still being offered, and the Elite membership. Absolutely no new promos. I would say no promos at all but would prefer to see those introduced through some other means if they have to be reintroduced. I wouldn't mind new promos... If they were offered for IG credits, as well. With the SAME rates, and prices. Not 100cr for a giftbag, when they only cost $5 on the website for example. It's been said that coming up with new monthly promos takes up a lot of the coding/design teams' resources. I'm not against having new promos, as long as they take a far back seat to developing Imperian itself. How would that work with retirement then? Would you not lock in retirement values and let people grow their retire values like other games. Because your leaving imperian as a pay for game then so retire value should still increase if you are paying real money for credits. 1. I would not see us bringing in new promo items. They are a lot of work, and the game is saturated. if anything, I would like to pull some of the items from the game as they just add bloat. 2. We will still be freezing retirement values and retirement into Imperian. Feels kinda bad to get people to spend money without the option of an overpriced server transfer for at least the cash part of their character value. As long as there's a blatant warning in the credit purchase page, I guess it could be okay that way, but I don't know why you couldn't directly increase retire value at the time of purchase. I don't see the point of stopping retirement if you are going to keep taking on full payments in the game. Id like to see them continue. Just avoid promos and make it absolutely clear Imperian characters cant retire. Beyond that, whether individuals feel it has value is their own judgement. Like said above, with the current proposed system, youre buying past the grind, not buying direct power basically, so I wouldnt find it egregious. Pretty much my thoughts on the matter. I don't care about not being able to retire, going into the transition since now I won't have to spend $2000 to be able to actually play it. If I'm spending, it'll be just like any other game: spending to avoid some of the grind, less so spending so that I can actually play half of the game effectively. If I don't like it, then all I've 'wasted' is my time. Any money I've spent is because I wanted to, not because I felt like I had to. I was around long before retirement was even hinted about being offered and we still felt happy to purchase credits. It's just like anything else. I feel that it's too easy to get into the mindset of "Oh I can just retire if things in Imperian don't go my way." That may be hypocritical coming from someone who has retired, but it's not intended to be. And I'm not accusing anyone of being entitled, just pointing out that if you weren't here before Retirement existed it felt like any other purchase - Character re-customization from World of Warcraft or buying of an expansion pack in a single player game, etc. We cannot offer retirement off the game as daily credits muddy the water too much. So now that the change is live, and I've gotten the chance to look through every achievement that Joe NewPlayer is gonna be able to feasibly complete... I think the numbers could do with some tweaking. I've just gone through my list of characters, which all have anywhere from 150-500 achievement points (1 or 2 of them have some of the more harder achievements to obtain, as well) and the maximum amount of lessons I saw was 2300. This is also on a character that is level 106, with pretty much all of the 'easier' achievements that aren't the arena ones. The character that has the most achievements, it's "possible" to do things on, but that's only because I've bought like $500 worth of credits prior to this change actually going live, and having most of my skills already. This is... Not even close to "viable combat character" - Even if they get no-brainer stuff, that's not going to be enough to feasibly do... Anything, really. In a month (assuming they actually get to be able to play every single month) they're gonna generate 600 credits. They're still going to need to be using these credits for lessons, so realistically it's gonna be probably 2-3 months before they can even think about saving their daily/achievement credits for an artifact, let alone actually using them. Now, all up, that's 7200 credits roughly in a year... That's a good amount I would say, it's a lot of commitment but it's a good amount... I think the "starting out" generation could do with some looking at though, because currently the numbers just aren't... Feasible, to make an average person want to commit that long. eta: I recall hearing you (I'm pretty sure it was you) saying something about a 10000 lesson (roughly) amount from the 'starting achievements' - To me that gave the impression this number would be achievable in a decent amount of time. But looking at half the achievements that... Isn't going to be the case. At all. Unless that number was based off of doing almost every single achievement possible which is... Misleading. late eta3: Would it be possible to have a list of these 'specific quests' that can be done to earn credits? When it comes to things like this, being vague doesn't really help anyone. Quests themselves can be vague, sure, but it'd be amazing if we could actually know which ones did it... Rather than forcing people to flounder around trying out every single quest in the game. "It gets better later" is the rallying cry of a game that is going nowheres fast. Could just nerf high stat scaling and nerf all artifacts to not be soo needed. You basically -have- to do this - just one reason (though not even the main one) people were so angry at having their high roller accounts "locked in" to the new model, rather than getting to take their investment elsewhere within IRE and come back as free players like everyone else, if they so pleased. Anyway, either nerf artifacts directly, or nerf them by making them much, much more accessible. Honestly, to do "free" right you need a totally different model. Ideally it would be a lot like other games where everyone basically has access to all of the same things, and fights are basically "who is actually better, given roughly equal starting points"? A person who invests more resources into a system, be it time, money, emotions, or bits of twig from that one stream down the road, is goimg to be advantaged in the system. This is a general fact of life applicable to much more than this game, but applicable here nonetheless. You are, at best, proposing a system whereby you are disempowering some outgroup to empower yourself. You can make an argument, a compelling one, even, as to why doing so is a good idea, but they are, nonetheless, going to be upset about being disempowered. A proposed solution needs to be equitable to all, not just your respective ingroup. We all share the same space in this game. That honestly makes no sense, unless I've somehow misunderstood what you were going for. There is no way to make a free game model work without completely screwing over your existing artie whores (unless maybe you'd, you know, just let them take their toys elsewhere). That's just how it is. By definition. That said, I think one of the things you touch on ("time", aka, rewards for a LOT of grinding) is one thing people seem to agree they don't want to be overly onerous. And it especially needs to not be a real or perceived barrier to PK. What Im trying to (politely) suggest, is that we are much more likely to find a solution agreeable to the consensus of players if you take ths time to consider this also from the angle of those "high rollers" and try to empathise with their concerns and argumentation rather than treating them as a dehumanised outgroup who "were going to be hurt by this anyways." An ounce of harm reduction can go a long way. And personally, I tend to agree with Ryc in that, it is a much more positive and productive endeavour to uplift others to those seemingly lofty heights of being-a-whaleness, rather than playing Ahab and dragging the whales down to the same depths as the rest of us. Both of these options devalue artifacts and credits. One of them builds community, the other builds conflict. I am one of those high rollers. One of the biggest. Ship has sailed. What will actually make me angry again, is if anyone tries to tell me that all of us whales didn't get screwed. Other than that, I know what has to happen (and knew before this ever came up, and knew it would HAVE to come up). EDIT: and yes, this means that one way or another, you absolutely have to negate "being really, really artied" in a way that IRE games usually don't. IRE games usually operate on a sort of "less artied, but VERY skilled person can beat artied person" principle (and they often still have to have at least -some- items). EDIT2: On that note, there are a few people who DO just need the "bare minimum" level of arties, and can utterly destroy most of the existing playerbase with that level of gear. That's different, and is mostly how IRE has always been. It's the old model with a semi-major tweak. Ryc is just saying "Team Septus" needs bare minimum gear. But really, a free game is almost certainly going to have to go beyond that, because again... artie whore model is not at all consistent with "free game". That argument really hasn't been true for quite a few years now. 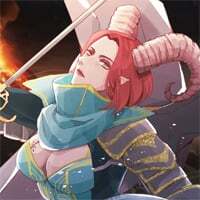 The only real way someone with no arties is beating a whale in current day IRE (this isn't just Imperian) is if that whale is utterly terrible at fighting, or is playing a useless class like Engineer. If people are as remotely as skilled as one another, the whale is going to win every time. Ryc himself posted about being able to bashing combo a lot of people to death, because he had the arties to do so. The "bare minimum" (romb, bracelets) etc is still going to get steamrolled over by a remotely competent bard or summoner (probably even an outrider, if picking one from each circle) who is jacked with arties. eta: I think the current method is going ot be fine, when numbers are tweaked. This is largely how Lithmeria handled their arties (granted you could still pay for higher level artifacts there, the system was still good) - shame some poor admin decisions and a awful playerbase basically neutered the game. Getting skills / arties there as a free player was actually very similar to what Imperian is doing, and you still had whales there with a lot more. Albeit getting to a 'good' point and being able to compete wasn't quite as monotonous. If people are as remotely as skilled as one another, the whale is going to win every time. No, this is exactly one of the points I made. In "normal" IRE, the skill differential has to be quite large for the non-artied (or realistically, less artied) person to win, which is exactly how I characterized it. Most importantly though, that model makes zero sense in free IRE land.